Lorraine Cliff is at Princeton studying Operations Research and Financial Engineering. 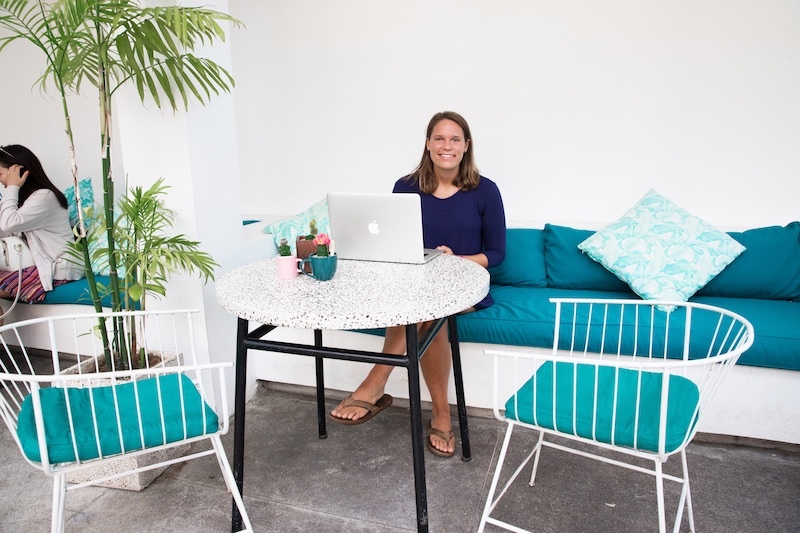 She spent two months on Start Me Up’s Startup Internship Program in Bali. I’m not studying abroad during my four year course at Princeton so I wanted to go away for the summer and the chance to be in Bali and learn about startups seemed like an interesting option. I come from a tech background so startups are a popular destination for many of my peers but I’m actually probably more interested in the finance side of things. I wanted to make sure that I was getting a full flavor of what’s out there, however, and I think this program does a great job with that. I was paired with a data visualization expert who is working with Tableau, which is data visualization software. My mentor’s from the US originally where he was a consultant working in data visualisation and building an online course platform. So we’ve been taking his business from ideas in his head to online courses, to building up a website and writing blog articles. Before I got to Bali I’d never heard of Tableau. Since I’ve been here I’ve been picking up skills in this area which are super interesting to me, as I want to work with data in the future. Not only have I been getting these skills from him and getting access to his expertise, but I’ve also been getting experience of life as an entrepreneur, building up a business and learning about life as a freelancer. So it’s been a really great relationship in terms of me gaining knowledge and experience. I think there’s a certain side of actually rolling through with a business from the beginning, which you don’t always get in school. Even if you do the traditional internship, you’re just slotted into a role and they’ve got it all mapped out. Things are less fixed and more iterative here. I’ve really enjoyed meeting lots of new people. Whether it was meeting my mentor, or meeting other people from across the world. I’m from Boston and I go to school in New Jersey, so I haven’t left the east coast all that much so has been a great way for me to travel, meet new people and see what another culture is like.